After much waiting, the Library of Congress has FINALLY added more photos to it’s Flickr account. 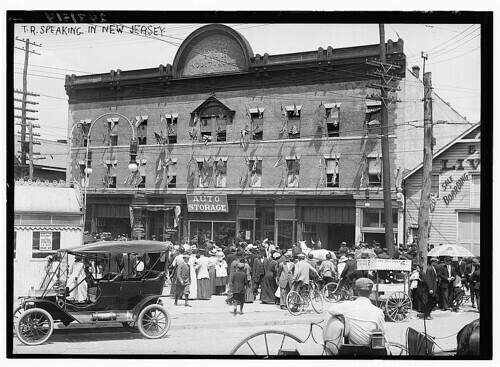 The 50 new photos were added to the 1910s Bain News Service set. Hopefully the love and excitement, that started with the Library’s foray into Flickr in January, will continue here. Go there. Enjoy the Library of Congress photos on Flickr. Tag them. Has anything come of this? Has the LOC been able to garner any more information from these pictures by posting them online? I work at the LC, and the high-ups are THRILLED at the response to the Flickr postings. They *are* getting some more caption information that commenters are adding, like where specific photos were taken (i.e. town corrections, street names, etc) which we didn’t know before. And the LC is also excited at the chance to share what are truly amazing collections with such a huge audience. Many coworkers are relieved that world now knows our buildings are NOT just full of books!